Season's greetings, yogis! The holidays are upon us and along with them come growing to-do lists, booked calendars and mounting stress. While the end of the year marks a time of reflection, connection, and celebration, it's often accompanied by added pressure that can take a toll on our own well-being. Read on for 10 easy strategies to stay on top of your self-care game this season so you can make the most of the holidays. Now is the perfect time to ask yourself what you want this holiday season to look like. Before the chaos sets in, take some time to tune into yourself and journal about what you want to manifest or minimize over the next few months. What does this season mean to you? How do you want to express gratitude to your loved ones? What typically causes you the most stress around the holidays and how can you find workarounds? What boundaries do you want to set to ensure you don’t get burnt out? How can you plan ahead? Consider setting dates for gatherings, booking travel arrangements, brainstorming gift ideas or ordering ahead. In my opinion, malls are crowded breeding grounds for stress, bad lighting and endless things we don’t need. So try to avoid them! Gift giving doesn’t have to be stress-inducing and expensive. Is there something unique you can make for your loved ones- something you will also enjoy making? An experience you can share together? If you do have to go to the store, start the experience off on a positive note. Before heading into the frenzy, take a few minutes to meditate, do some deep breathing, and set your mind in a calm place. Schedule a break to meet a friend for lunch or pick up your favorite tea while you’re out. We don’t always get to determine our surroundings but we can decide ahead of time how we want to respond to them. Never underestimate the power of moving your body. Whether it’s going to the gym or taking a yoga class, sometimes the best form of self-care isn’t an extravagant massage or expensive treat, but simply making time to exercise. Yoga can be incredibly rejuvenating during stressful times. For me, an hour on the mat helps me work out all the kinks and leaves me feeling centered, clear-headed and ready to take on the day. Whatever this looks like for you, find a way to get out of your head and into your body. With colder weather and shorter days setting in, it’s easy to feel cooped up during the winter. Don’t forget to go outside! Invest in a good jacket and find an excuse to do something outside that you enjoy. Last winder, I signed up for ski lessons and noticed a significant improvement from previous winters- I had an activity to look forward to and improve upon, and was spending way more time enjoying the outdoors. When it’s grey and rainy here, there’s a good chance it’s a wintery wonderland on the mountain. If winter sports aren’t your thing, set an intention to walk outside for 20 minutes a day. It’s amazing what a little fresh air and vitamin D can do for our spirits. With the holidays comes pressure to do all the things, see all the people and be cheerful and energetic all the time. During these stressful times, I find it incredibly helpful to get out of my own little world and gain some perspective from the people around me. If you’re feeling overwhelmed or down, consider volunteering or finding a way to help somebody else. Even if it's taking an hour or two for a random act of kindness, helping others can have profound effects on our happiness, sense of purpose, and remind us of how much we have to be thankful for. Self-care rule #1. Don’t find yourself in the “busy trap.” If you sense yourself wearing thin, remember that sometimes saying no is just as honorable as saying yes. You are the only one who has control over your boundaries, so try to view every invitation as an opportunity to check in with yourself. How is your energy level? Does this invitation bring you genuine joy or a sense of obligation? Of course there will be times we do things more out of necessity than desire, but in general, “if it’s not a hell yes, it’s a no." This is an important practice all year round, but it’s often easier said than done. Listening to your body is a skill that takes practice and can look different for each person. Are you feeling off from over-indulging? Sluggish because you skipped your workout? Need a night to yourself instead of going to that dinner party? Similar to a well-tuned car, your body is a sophisticated machine that will alert you when something needs attention as long as you're looking for the warning lights. Trust yourself, respect your intuition, and don’t be afraid to adjust course to give your body what it needs. The Pareto Principle states that 80% of results will come from 20% of the action. While this might sound like more of a mantra for the workplace, it’s a valuable reminder for our personal lives as well. Give up the thought that you can do everything perfectly. You are a human with limited attention, time, energy, and resources. Instead, ask yourself what that 20% of effort is that will result in the most happiness this season? You might not have time to put Christmas lights up, but you can prioritize hosting a Friendsgiving dinner and that will likely result in far more happiness. Do what you can and forgive yourself for what you can’t. Above all, remember that these next few months should bring happiness, gratitude, and an opportunity to spend time with our loved ones. Anything that detracts from that probably isn’t worthwhile. No matter what comes up, practice being present with those around you, and finding joy in each present moment. Happy Holidays! Yoga teaches us the importance of finding balance. This is even more true with the added demands of the holidays. What does this mean for you? How can you counter-balance spending with saving? Indulging with nourishing? Celebrating with rest? Travel with routine? We hold the power to create balance in our lives, but it requires mindfulness and discipline. 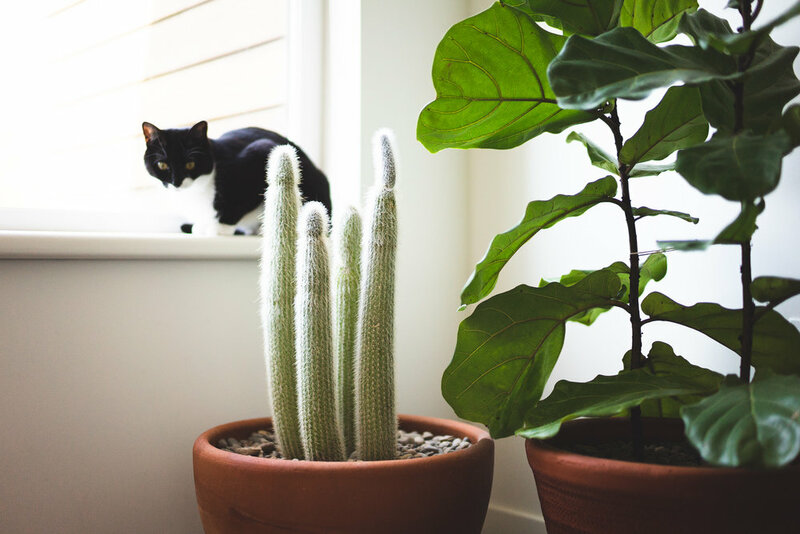 Houseplants are more popular than ever! While the world around us is seemingly becoming more and more urbanized, inside our homes there is a green revolution underway. Not only do houseplants have the ability to transform the look and feel of a space, they also have some pretty amazing health benefits. Studies have shown that plants have an incredibly positive effect on our wellbeing. Just a touch of greenery can reduce stress in the office and offer some great therapeutic benefits in the home. Reduce airborne toxins and dust particles. Calm the mind by acting as a natural relaxant. A life lived with plants will reconnect you with nature. They are your very own indoor companions that you can nurture, and watch grow and thrive. So, don’t be too surprised if you start developing an emotional attachment to your plants - it happens to the best of us. Worried that you’ve been cursed with a black thumb, or concerned it all sounds just a bit too hard? – Don’t be! Here are some basic tips and tricks for making sure your leafy little buddies live long and happy lives. All plants really need to survive (and thrive) is water, sunlight and a little love. While it really is that simple, a little too much or too little of these things can make your plant very sad so it’s important to always do a little research to get to know each individual plant’s likes and dislikes. Light. Always make sure you choose a plant with the right light requirements for the space you have. If you ignore this then you and your new friend will definitely start things off on the wrong foot. For example, you can’t buy a bright indirect sunlight loving plant like a cactus, and stick it in a dark corner, and expect it to be happy. You will save yourself a lot of disappointment and money if you stick to this rule. Water. 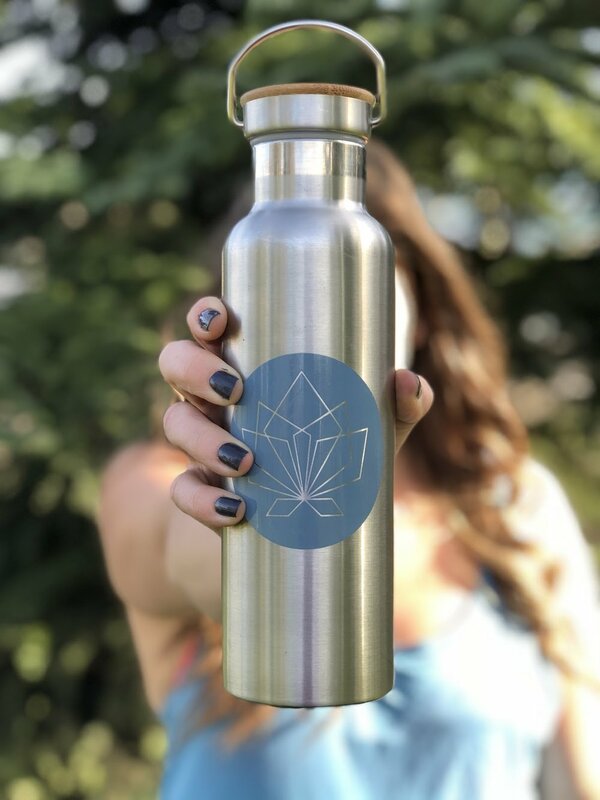 All plants have different water and humidity requirements, so make sure you do a little research and find out how much your friend likes to drink. 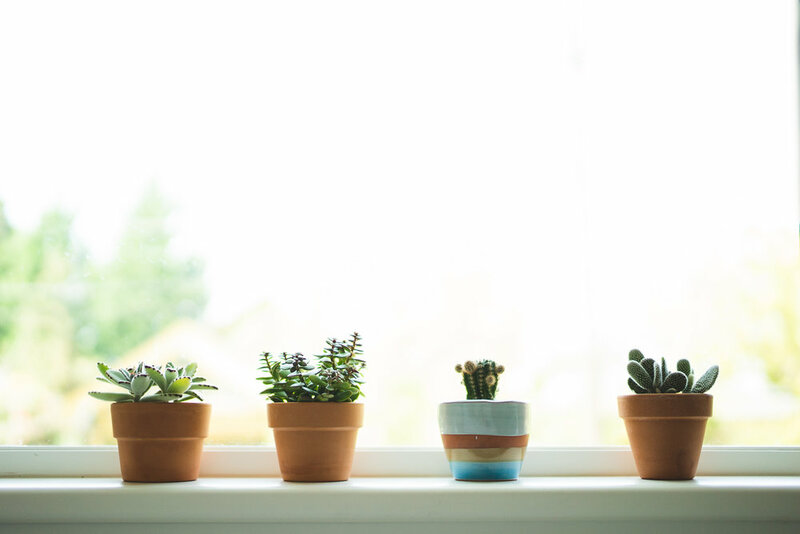 As a general rule of thumb with most houseplants (besides cacti and succulents), you can stick your thumb about an inch down into the soil and if it feels dry then you can give it a little water. For an even easier hack invest in a moisture meter. It’s basically a thermometer that reads moisture levels and is a great little tool to have because it takes all the guess work out of watering. Cacti & succulents. These guys are hardy little plants with lots of personality. Given the right conditions they can make great houseplants but have some slightly different requirements to most of the others. They love a well-draining soil so always use cacti/succulent potting mix and make sure your planter has drainage holes to prevent root rot. They need a quick drink with a spray bottle about once a week in summer and a little less in winter. The easiest way to kill these guys is by over-watering so always err on the side of less water if you’re unsure. Maybe you’re a new plant parent or you’re always looking to expand the family. Either way here are some fairly low maintenance plants which will make great new additions to your home. Consider this a warning – plant addiction is a real thing people and it won’t be long before you’re waking up in your very own urban jungle. Just remember, if you take good care of your houseplants then they will take care of you. Over the last few decades the popularity of yoga in the western world has increased at a rapid rate with yoga studios popping up almost everywhere you look. In 2016 there were over 26 million people reportedly practicing yoga in the USA alone, which is no surprise given the many amazing physical and mental health benefits that come with a regular yoga practice. But despite its popularity, there are still plenty of myths and misconceptions about yoga floating around out there. So, before you think you’ve made up your mind about yoga, let’s start busting open a few of those myths! If only we had a dollar for every time we’ve heard someone say, “I can’t do yoga, I’m not flexible enough”. Of course, flexibility is a part of yoga but it’s about so much more than just that. Yoga is about observation, self-awareness and learning how to be present. Yoga is accessible to people of all fitness and flexibility levels. Even after just a few classes you will begin to feel the positive benefits of yoga - your body will begin to feel more supple and the mental chatter will start to quieten. And hey, if you’re worried about your flexibility then yoga is a fantastic place to start working on that. Your teacher can help you modify poses so you can watch your flexibility improve with time and regular practice. This one could not be further from the truth. While yoga in the Western world tends to draw a large female following, yoga was actually started and practiced almost exclusively by men. Not only do we get some pretty amazing male yogis in our studio but some pretty successful men like Le Bron James, Robert Downey Jr, Alec Baldwin, David Beckham, Ryan Gosling and Tom Hanks credit a regular yoga practice to helping them keep in great health both mentally and physically. So, come on guys, give it a go! Absolutely not! Yogi’s come in all shapes and sizes, and a yoga class is a place free from judgement. Everyone is there to better themselves both physically and mentally. There are many different types of yoga from the gentler yin and restorative styles, to the high energy vinyasa practice, so almost everyone can find a style which suits them and their body. Through yoga we also learn about self-acceptance, and this is something that all us regardless of body type, age, race, religion, or sexuality can benefit from. Anyone who thinks this has obviously never taken a vigorous, high intensity power yoga class. While it’s true that yoga will probably not get your heart pumping as much as a cardiovascular activity like running or a spin class would, that certainly doesn’t make it easy or an illegitimate form of exercise. Yoga requires a combination of strength, balance and flexibility – three key elements of any form of exercise. And if you needed any further convincing, the health benefits of yoga are undeniable and research shows that a regular yoga practice lowers your risk for heart disease and hypertension. Completely false! This is actually one of the biggest reasons to practice yoga. Yoga can help heal and strengthen your body, and even manage pain relief. In fact, many people use yoga as a way to reduce pain related diseases like arthritis, fibromyalgia, migraines and lower back pain. Always remember to speak to your teacher before class about any injuries you have or areas of sensitivity so they can give you modifications and check in with you during class. Yoga is for everyone, and practicing yoga certainly doesn’t mean you need to start buying crystals or becoming a vegan. You will find people from all walks of life in a yoga class. Yogi’s all have their own life experience, and everyone’s intention and reason for doing yoga will be different, with none better or more important than another. While some people who practice yoga do embrace a more spiritual lifestyle, everyone is free to take the parts of yoga that work for them and leave those that don’t. The list of myths could go on and on really, so why not try a yoga class and bust some of those myths yourself. 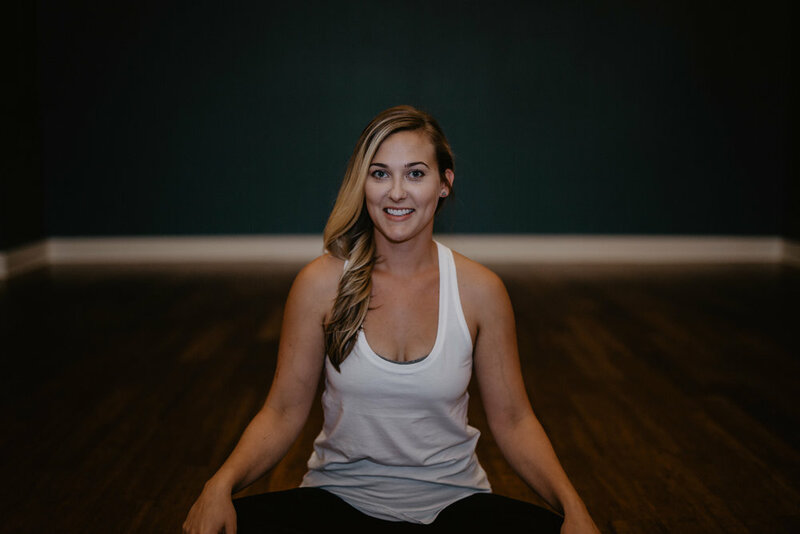 For this month’s blog post we got cozy with the lovely Katie Cosgrove to learn more about her yoga journey, what inspires her and how she finds the balance with this busy life and being a new mom. Scroll down below to get the scoop on one of our very favorites… Katie! By Augusta Fishman, Founder of Namaste on Williams and Katie Cosgrove, Portland OR based yoga instructor. Katie: I was born in Portland but actually grew up in Vancouver (don’t tell anyone, haha). After high school I went to University of Hawaii then moved to DC for my first job as a first grade teacher. After my first year of teaching I went to India to study yoga and realized I wanted to dedicate myself fully to studying and teaching yoga. I ended up in Australia for four years after India doing some more studying and teaching. From Sydney I moved to San Francisco where I studied and taught for two years before I finally moved back to Portland. Phew! I live here now with my partner, Mathew, and our 1 year old daughter, Ellie. So happy to be back home! AUGUSTA: How has becoming a mother changed or shifted your teaching? Katie: I had a very uncomfortable pregnancy that limited my mobility quite a bit. I suffered from intense morning sickness, fatigue and SI Joint pain. Before that, I had never felt limited in my body so going through that experience really taught me a lot about how yoga can sometimes feel inaccessible. It helped me approach teaching to all different kinds of bodies with a new awareness. AUGUSTA: How do you find the balance with it all… mothering, adulting, teaching, etc.? Katie: I don’t! Haha I feel like I’m always behind. Yoga is what helps me feel balanced and energized even though I haven’t had a full night’s sleep in almost two years. Oh and coffee! ALL THE COFFEE. AUGUSTA: What has it been like coming back to your practice and your body after having your daughter? Katie: At first it was difficult. My body felt like I had run a marathon and then somebody beat me up after! Lol No, but seriously... I started by just doing simple movements like cat/cow, gentle stretches and some pelvic floor strengtheners until I felt like I had the energy and strength to go to a vinyasa class. I think the first class I took was a few months after Ellie was born. It’s been a slow process regaining the strength I had before which has been frustrating and humbling but I’m happy and grateful that I have this fully functioning body that was able to create another human life and continue moving after! Katie: My first yoga class was during my Freshman year of college. I have never been a very athletically inclined person but I wanted to do something active and I fell in love with yoga! I loved the non competitive nature and meditative movement. I was hooked right away! Katie: I realized how good I felt after every class and wanted to experience that as often as possible! Katie: I mentioned before that I was a first grade teacher for a year after college. I have so much respect for school teachers because that is the hardest most underpaid job there is! I was not cut out for it and during that whole year I felt like my job was taking away from my time studying yoga. While I was working on my teaching certificate in India I realized that life is too short to waste time doing something you’re not passionate about. I wanted to focus all my energy on yoga, so I never returned to my school teaching gig. Katie: I feel so inspired after every class I teach because of the students and the practice. I love that the people who show up to class are there because they want to learn more about this practice that I love so much! It’s my favorite thing to talk about and they are open to listening! That is amazing! I feel so grateful for the students because without them I wouldn’t be able to do this! AUGUSTA: You always have the best playlists.. What are some of your favorite songs on your current yoga playlist? 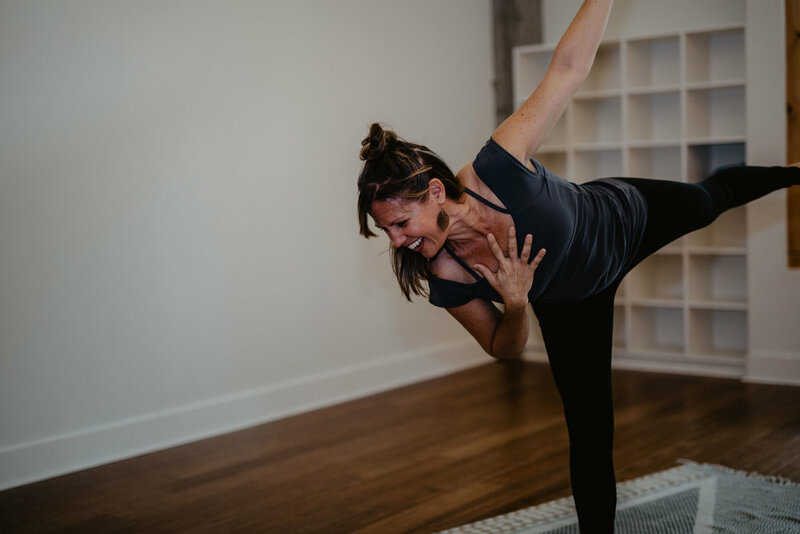 In this month’s NOW Blog post we sat down with the lovely Jill Knouse to learn more about her yoga journey, what inspires her and her very own Elevate Yoga Teacher Training program. Scroll down below to learn more about one of our favorite teachers, Jill Knouse! Jill: I spent most of my childhood in coastal towns of California. My family was clearly NOT afraid of change, so we moved a LOT. I’ve lived in San Diego, Hermosa Beach, Santa Barbara, Newport Beach, Saratoga, Santa Cruz, San Francisco and then 13 years ago, I moved to Portland. I ended up in Portland after living in the Bay Area for a long time. In San Francisco I was, in many ways, following someone else’s professional dreams and living a life that began to seriously deplete me. I was working way too much in a job that I may have loved in the beginning, but I later came to realize how much I actually loathed it! The life I had built for myself left me unhealthy in mind, body and soul. There was a growing feeling inside of me that if I didn’t make a change in my life, I would somehow disintegrate. One of my best childhood friends moved to Portland from San Francisco and I visited her on a regular basis. Every time the wheels touched down here, I exhaled so deeply. It was always such a welcomed relief to arrive. I fell in love with the vibe, the people, the comparative simplicity and space I felt here...and, the cost of living at that time was dramatically less than in The Bay Area. After visiting many times over several years, I decided to buy a little bungalow and say goodbye to that life in SF. Best. Decision. Ever. I assumed I’d relocate and find work in the same industry since it was what I knew but The Universe had other plans for me. Thankyouverymuch! 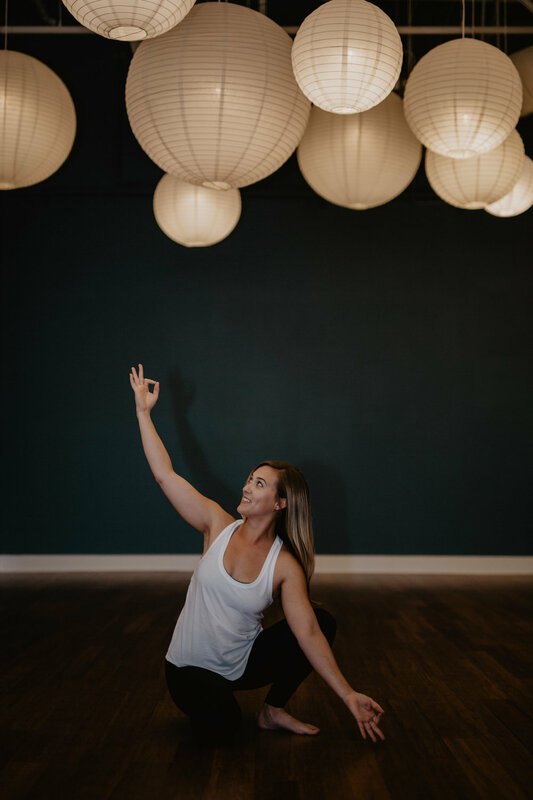 Jill: I’d dabbled in yoga while living in the Bay Area, but the practice really seeped into my soul when I met and began practicing with Jeanette D’Antonio in 2005. She had me focusing on the breath and bringing down my obviously HIGH anxiety before really diving into asana. Jeanette helped me unravel 13+ years of stress that was the result of going against the grain of my being for WAY TOO LONG! I was pretty wound up. She also introduced me to Ana Forrest who was teaching a workshop at CorePower Yoga. It was there that I met so many lovely teachers, made incredible friends, was encouraged to do my first teacher training and I taught there for about 7 years. Jill: Really, it was a deep knowing that things could look and feel differently than they did. I had hope. I wanted a deeper connection to who I really was, I craved balance, greater harmony and I felt all of these things whenever I was in the practice of breath, mindfulness, asana. I remember acknowledging that it was changing everything one simple inhale and one simple exhale at a time. I’d leave sessions feeling euphoric and charged with even more hope. Jill: I couldn’t dream of anything better than sharing what I was being given. These tools. It was immediately so clear to me. I just couldn’t NOT do it. Augusta: Tell us about Elevate Yoga. How was it born and what’s It all about? Jill: Elevate was originally born from something I wished I’d had as a newer yoga teacher. About six years into teaching, I found myself having regular conversations with other teachers sharing how vulnerable and aimless we felt just after graduation! For me personally, I had NOT immediately gotten the internship I wanted (I was embarrassed and sad about THAT! )…I wanted so badly to have a place to go to continue learning, teaching, sharing. I could see the value of having a place to go, a place to share that felt like neutral ground — not your "bosses place" but your PEERS’ place. I began to visualize a safe haven where new teachers could go to connect with other teachers, to refine their skills, to have relevant conversation, to access to cutting edge ideas and be taught by other passionate, heart-felt teachers. I visualized a non-dogmatic, creative space and then I decided to bring that vision to life. The first Elevate launched in late 2012/early 2013. Initially, the training was geared toward existing yoga teachers as a next step. 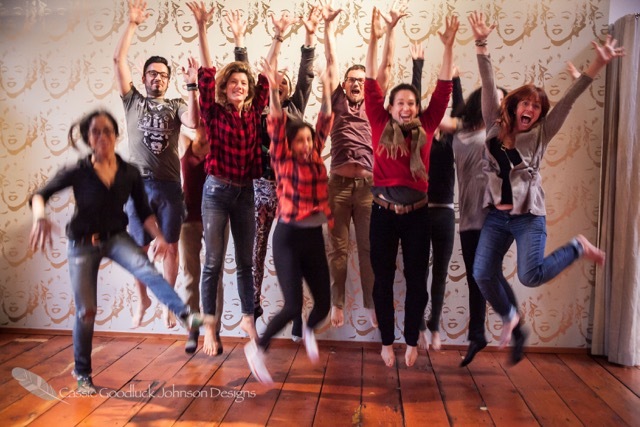 After running the program in that format for a couple of years, interested yogis continued to ask the same question of me, “What if you’re not already a certified yoga instructor?” So in 2015, we gave life to our 200-Hour Teacher Training program, available to those wishing to deepen their yoga practice, as well as, aspiring yoga teachers. It has all of the same core tenets: a safe place to learn, share and connect, a place to develop teaching and life skills, a place to have relevant conversation, access to cutting edge ideas and a place to learn from other passionate, experienced, heart-felt teachers. I bring in experts from Portland and around the country to present and share their knowledge + experience. Elevate 200-Hour YTT is a place where we dive deeply into the core of this practice: History, Philosophy, Anatomy, The Art of Teaching, The Business of Yoga (which my husband, Michael Knouse -who is an incredible business coach! - joins us for! ), The Subtle Body, Sequencing, The Art of Intuitive Assisting…we don’t leave any stones unturned! 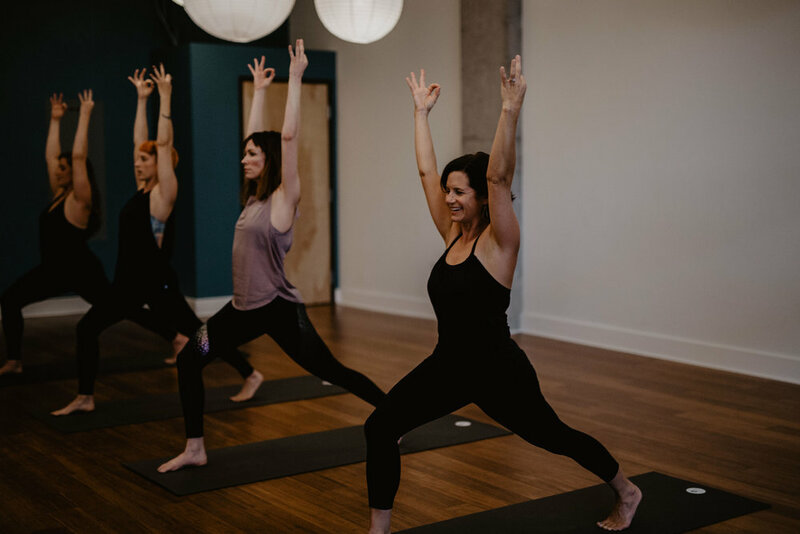 Elevate is a place to practice life, a place to practice yoga, a place to remember who you are so that you KNOW where you teach from. It is imperative to us that you teach from a place that is true, authentic, from the depths of you, and in-service. Jill: Every. Single. Thing. Honestly, BECAUSE it's not easy for me. Teaching inspires me. It challenges me. It enlightens me. It scares me. It connects me with truth. It connects me with others in a unique and powerful way. It reminds me of my imperfections and how to be better about embracing them. It reminds me of the importance of having FUN, not taking myself too seriously and also how “the same” we are even in our perceived differences. Teaching encourages me to remember the importance of all the things: strength, flexibility, going with the flow, sequencing, balancing, surrendering and alignment. And, I’m not talking about the postures or a flow class here rather in every aspect of how I move through my life. How do I use these tools to travel more harmoniously? Augusta: Shifting gears a bit.. What are some of your favorite songs on your current yoga playlist? Jill: I love music! Lots of different genres and artists. Right now these are on my playlist and I’m lovin’ them but my playlist is changing all the time! Favorite park: Thousand Acres - more dog time! Augusta: How about Kombucha and then wine… lol. Thanks so much for your time! It was so fun learning more about you. We are blessed to have you in our yoga community/family/kula/crew! It sounds simple - the things you do the most shape the body and the things you think the most shape the brain. But it's not always so simple and this is where the practice of Yin Yoga comes in. A Yin practice an effective vehicle for transformation because it requires self awareness and a willingness to delve deep into the patterns of the body, brain, fascia, and thought patterns. So what is Yin Yoga? 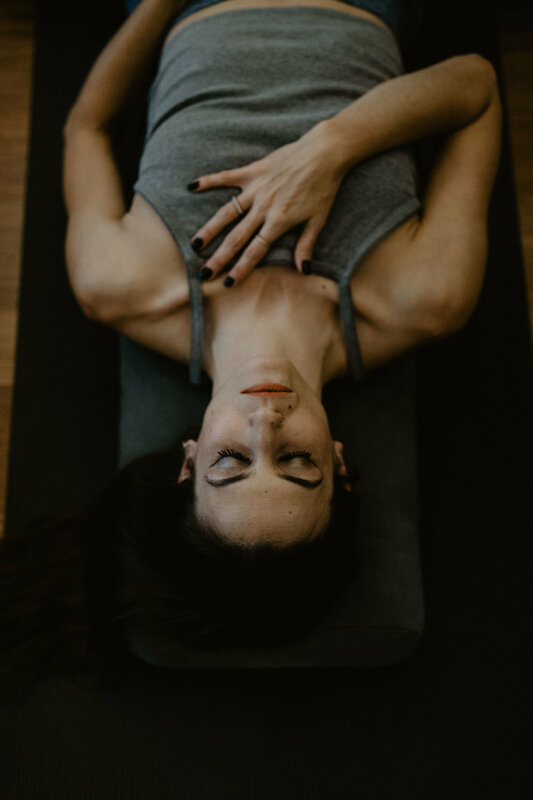 Generally speaking, Yin Yoga is a meditative approach with a physical focus on the connective tissues and fascia in the hips, pelvis and spine. In a Yin practice poses are held longer (minimum of 3-5 minutes) than a yang practice. Yin is unique in that students are asked to soften and relax in the shapes. The practice of Yin Yoga can be considered a type of cognitive therapy that enables us to become more aware of our thought patterns and routine body preferences. Physically, a Yin practice works to create more space in the hips, pelvis and spine and prepares the body to physically sit comfortably in a seated meditation. The hidden gem of Yin when practiced consistently is the shift from the physical to a deeper state of contentment through meditation. When one of these is off, the others are off. When we heal one, the others heal. It is all connected. So much of what I focus on as a teacher is to use Yin as a means to stabilize these three things. I like the mantra: We use the body to heal the body. 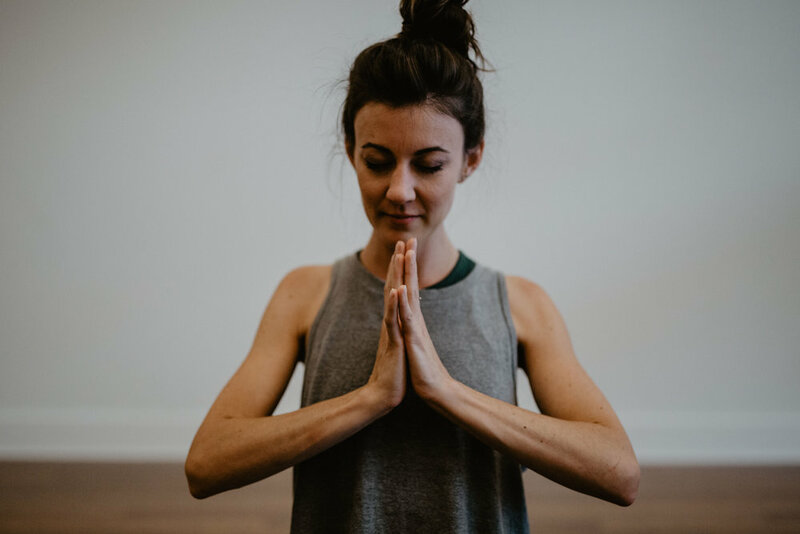 You can transform your physical, emotional and mental well being with yoga and a Yin practice can provide the tools to deepen this transformation. I teach Yin Thursday evenings at 7:30pm at Namaste on Williams as well as at other yoga studios around Portland, OR. Also, check out my Podcast Beautiful Genius for more on yoga, neuroscience, and psychology. Sarasvati Hewitt grew up as a dancer and began studying anatomy at 16. She has been teaching yoga for 13 years and has studied Interpersonal Neurobiology at Portland State University. She teaches workshops and specializes in Yin yoga for anxiety, depression, eating disorders, insomnia, addiction and trauma. She has a podcast called Beautiful Genius about yoga, neuroscience and psychology. Check out Samantha Gamboa's 7 Simple Steps To Inspire Your Summer Yoga Practice! In this interview with Augusta Fishman, we explore the creation of Namaste of Williams and learn more about the founder and what yoga means to her.